across 848 HDB blocks and 27 government sites. not go beyond the prevailing electricity tariff rate. tenders which involved the installation of 40 MWp of solar PV systems each. (ITE), National Heritage Board (NHB) and Sport Singapore (SportSG). the solar PV systems is expected to be completed by 2Q2020. 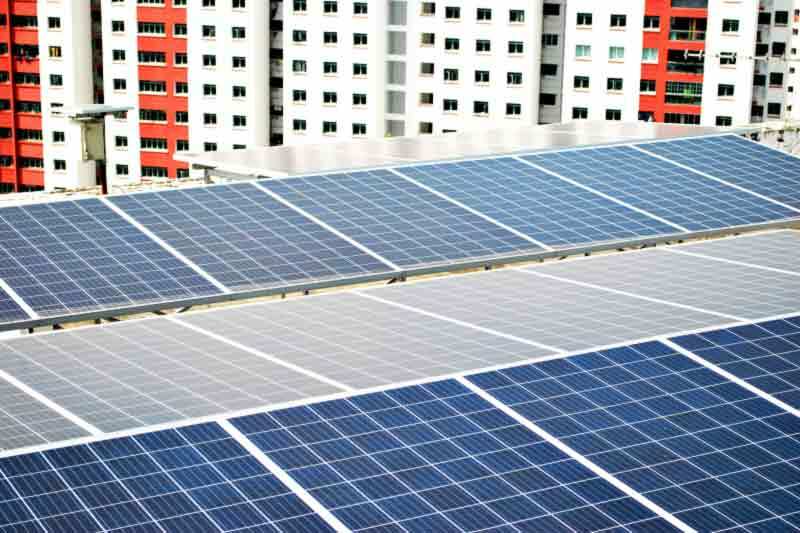 is on track to deploy solar panels on 5,500 HDB blocks by 2020.
the increase in operating and maintenance costs due to inflation. today to 350 megawatt peak by 2020 and one gigawatt peak beyond 2020.